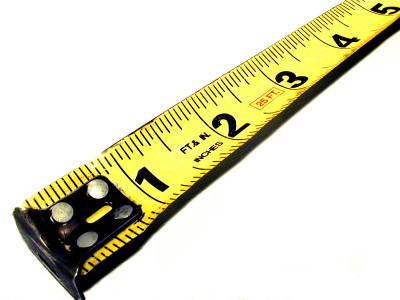 Can you measure morale accurately by simply walking into a room and observing people? I think you can. In my courses, I often ask participants to tell me the best way to measure morale. Most of them come up with the idea of an employee survey or some other form of lagging indicator, like turnover rate. While both of these techniques are useful, I think there is a far faster and more accurate way to measure the morale of people in an organization, and you can do it while there is still time to take corrective actions. All you have to do is observe the individuals, and they will give ample clues as to their morale. If people are standing with one hip raised, that is a sign of a poor attitude. It is a hostile gesture where the individual has a chip on his shoulder and he is daring you to knock it off. If people are sitting in a slouched-over configuration, that may be simple fatigue or it may be they feel beaten down and fearful when managers are around. If you walk into a room and people are sitting around a table leaning back with their arms folded, you can immediately sense these folks are dug in, grumpy, and not happy. The most sensitive areas for posture are in the shoulders and the position of the spine. I once walked into a restaurant to meet up with a colleague for a chat. She was sitting in a booth with her back to me and did not see me approach. All I could see of her was the back of her head and the upper 6 inches of her shoulders. I accurately determined before seeing her face or hearing her voice that she was in crisis mode due to a family tragedy. When people are together, watch the gestures. If they are doing a lot of finger pointing as they speak, there is a hostile environment. If their hands are most often open with palms up, that means they are open to ideas and suggestions. Watch to see if the gestures remain the same as managers come in the room. For example, if people are having an animated conversation about some outside event but clam up both verbally and with gesturing when the manager walks in, it is a sign of either fear or apathy. Certainly hostile or vulgar gestures are obvious indications of poor morale. The best display of good attitudes is if the gesturing remains the same when a manager approaches. People are comfortable and not threatened by this leader. There are thousands of facial expressions that have meaning, and many of these are specific to the culture in which they are used. The eyes and mouth hold the most information about attitude. For example, when a manager is giving information, if people roll their eyes, the meaning is that they believe the manager is basically clueless and is wasting their time. If they are tight lipped, it is normally a sign of fear and low trust. The most positive expression for morale is a slight smile with bright open eyes and highly arched eyebrows. This expression indicates interest and openness. When people speak, their tone will give away how engaged they are in the conversation at hand. Apathy is easy to spot with a kind of roll-off of words in a low pitch that says “I don’t care.” If the voice is stressed and shrill, that usually connotes fear of some type. Anger is easy to detect as the voice becomes choppy and the pitch and volume go up dramatically. The sneer also can be detected as people take on a mocking tone when they mimic other people. Medium voice modulation with good diction usually means good engagement and attention. When people make jokes at the expense of the other people, it is often thought of as just kidding around. The fact is, there is always some kind of truth underlying every dig. So if people are mocking a manager for always showing up late to the meeting, it may cause a chuckle, but it actually reveals that people believe the manager has no real respect for them. Some groups are world class at making jokes at the expense of team members. I maintain this is a sign of poor rapport that will show up as lack of good teamwork. This poor behavior can be easily stopped by just coming up with a rule that we will no longer make jokes at the expense of others. At one company where I was teaching, the rule about not making jokes at the expense of others was the third behavioral rule on their list (I always have groups create such a list). It was easy to extinguish the bad habit because we just allowed people to hold up three fingers whenever anybody violated the rule. The poor behavior, that had been going on for decades in that organization, was fully extinguished in less than one hour. When people are honestly engaged in positive conversation and are making constructive observations or ideas, it shows high morale. If they undermine the ideas of others or management, it shows a lack of respect that has its roots in low morale. If the leader asks for a volunteer and you can hear a pin drop, that is a different reaction than if three hands go up immediately. People with high morale spontaneously volunteer to help out the organization. They respect their leader and truly want him or her to succeed because they know if the leader is successful then good things will happen for them. In a culture of high morale, people have a tendency to praise each other and seek ways to help out other people. When morale is low, everybody is in it for themselves and will discredit the ideas or desires of other people to preserve their own status. Leaders who know how to build a culture where individuals spontaneously praise each other for good deeds can foster higher morale by that emphasis alone. These are just seven ways you can identify the morale of a group simply by observing what people are doing and saying. You can go to the trouble of a time consuming and suspect survey, but you do not need to in order to measure morale. Measuring turnover or absenteeism will be an accurate long term reflection of morale, but by the time you get that data, the damage is already done. You have often lost the best people. By observing people every day and making small corrective actions along the way, you can prevent low morale and build an environment of higher trust. In that kind of culture, productivity will go up dramatically. This entry was posted on Saturday, April 13th, 2013 at 5:12 am and is filed under Candor creates trust, Communications, leadership, Organization, Teamwork, Trust, Trust and fear, Trust and motivation. You can follow any responses to this entry through the RSS 2.0 feed. You can leave a response, or trackback from your own site. Bob. Amazing abilities of perception, deduction and implementation are awe-inspiring. Please allow me too present my congratulations. Thank you very much for your comment of support, William. I think it’s a great idea to observe in this way. AND, there are people who are not-so-attuned and it’s unlikely they’ll get an accurate appraisal… particularly in an org with lots of sites, departments, roles… in 2001 we were working on a change project in this kind of environment, and decided we need to hear from people… led us to eventually create a normed, validated assessment with TRUST at the center! http://www.6seconds.org/tools/vs — I think it compliments this kind of emotionally intelligent approach! Hi Josh. Thanks for your reply. I took a look at your site. Very impressive work over the past decade. You and I both work at the junction of Emotional Intelligence and the concept of trust. Perhaps we should link together. Are you familiar with the Trsust Across America group? I am quite active in their “Alliance of Trusted Business Experts” and have been named as one of the top 100 thought leaders on trustworthy business behavior for the past 4 years. If you are not a member of the ATBE, you might want to look into it. Another home run! Thanks for sharing. I heard this statement a long ways back and it seems to play true. “You can not have morale until you have low morale”. Having come from being “outsourced” or “sold” more than once in my career, I have seen this statement ring loud and clear. I had to personally move my “care” guage from zero to 1 before I could take positive steps to making the best of things. Once the movement began then all of your items above improved with effort and time. When I think of projects I have been on, your seven ways not only measure morale, but point to areas that need more attention. Good set of examples as well. Thanks for the good feedback. I appreciate it. Leaders who are self-aware will notice these indicators in their interactions with employees. Reading non-verbals is a crucial skill that leaders must develop in order to have quality and keen communications with those they lead. Your list is a great list of indicators that show more than just morale. They also indicate job satisfaction, personal enthusiasm, happiness in their personal family life and actually “being there” when the come to work each day. Thanks for the enlightenment Bob. I saved the article for future reference. if you relied on the video clip to drive your point home. It’s clear you know a lot, so why not use your knowledge to write something more significant and put the video as something secondary (if there at all)? Thank you very much for your supportive comment. This is a very good anti spam tool for a whole lot of reasons. software as well as certain types of files that come attached to the message, which is hosted processors.